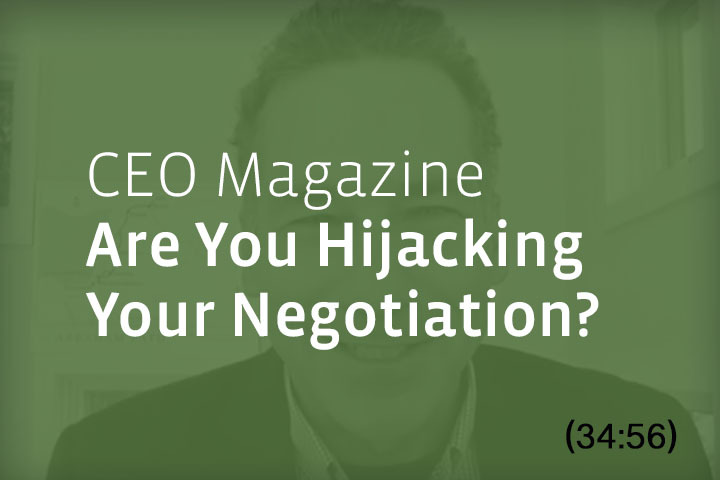 Are You Hijacking Your Negotiation? How do you negotiate a Triple Win? Not just a win-win for both sides, but a win for the whole as well. In this interview with Nick Vaidya of CEO Magazine, William Ury explains how. No Replies to "Are You Hijacking Your Negotiation?"